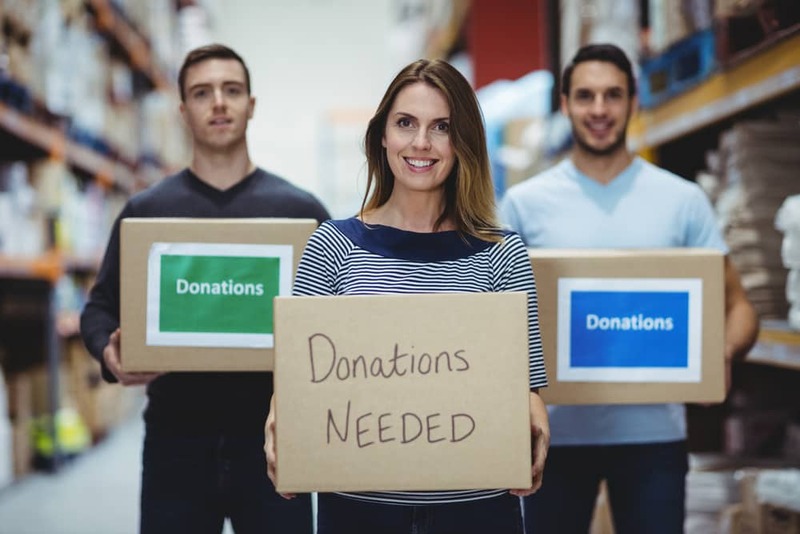 If you are doing some spring cleaning and clearing old and unneeded items out of your storage unit, you might consider donating those items to charity. You can make a big difference in the lives of people in need in your community. You can also take a substantial tax deduction when you donate extra items. Affordable Family Storage in Des Moines values our partnership with our local community. Read on for more information about how to make the most of unneeded items in your storage unit. Books - Books for all reading levels are great items for donation. Help a child learn to read by donating your unneeded books. Blankets - Gently used blankets are perfect items to donate. Please ensure that the blanket is clean and in good condition. All-weather and fleece blankets are the best! Bicycles - A donated bicycle can make all the difference for a person without transportation to their job. Jackets and Winter Clothing - Even when the weather is warm, donated jackets make a big difference for people who do not have shelter or heat in their home. School Supplies - Any time of year is a great time for donated school supplies! Sturdy Bags and Boxes - It may seem surprising, but sturdy bags and boxes are of great benefit to charity organizations. Homeless Shelters - From books to bicycles to blankets, homeless shelters will be able to put your donated items to good use, benefitting people who are in need. Veterans Centers - Your unneeded items will find a new life with an American Veteran in need. Bicycles and books are welcome donations at Veterans Centers. Children’s Charities - Make a difference in the life of a child by donating children’s books, school supplies, winter clothes, and children’s bicycles. Habitat for Humanity - Building and maintaining affordable homes in your community, Habitat for Humanity is a good organization to consider for your donated items. Don’t Forget to Take a Tax Deduction! When you bring your items to the donation center, don’t forget to ask for a receipt of the items you donated. This receipt will be important to hold onto until tax season when you will need it to claim your tax deduction. The value of your old and unneeded items from your storage unit really adds up. Value for those in need who benefit from your generosity, and value for you when tax time rolls around. Appraise the like-new value of your list of donated items and take a substantial deduction on your taxes. Whether you are looking for a climate-controlled storage unit, excellent customer service, or just helpful advice, Affordable Family Storage is here for you. We value our customers and we value our community. Contact us today for more information about storage solutions that fit your life.